In 2018 we have officially launched our Print & Canvas Design services. We have been lucky enough to work with some very creative designers who with our own in house team have produced some exciting, stylish and memorable designs. A couple of years ago we felt there was a real gap in the market for personalised print and canvas designs. We created a few designs initially and sold them at a couple of Christmas Fairs in 2015 and these proved to be popular. Between then and now we have been building a small collection of favourite designs which we are now happy to offer to you online and through more Fairs and Shows which we will be attending in 2018. 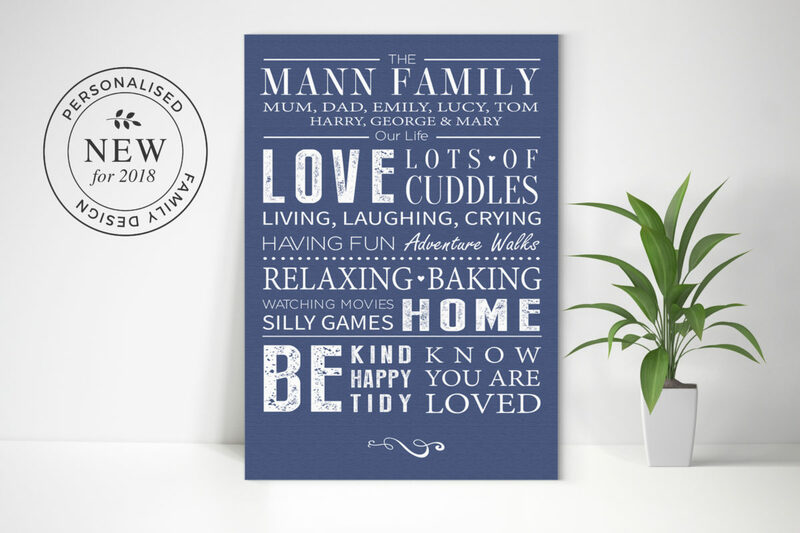 Many of the designs are commonly known as Word art designs and involve carefully chosen text and fonts that involve conveying a message about a special family event or celebrating a family on a design. The most important difference between the word art pieces you can purchase in stores and ours is the personalisation. 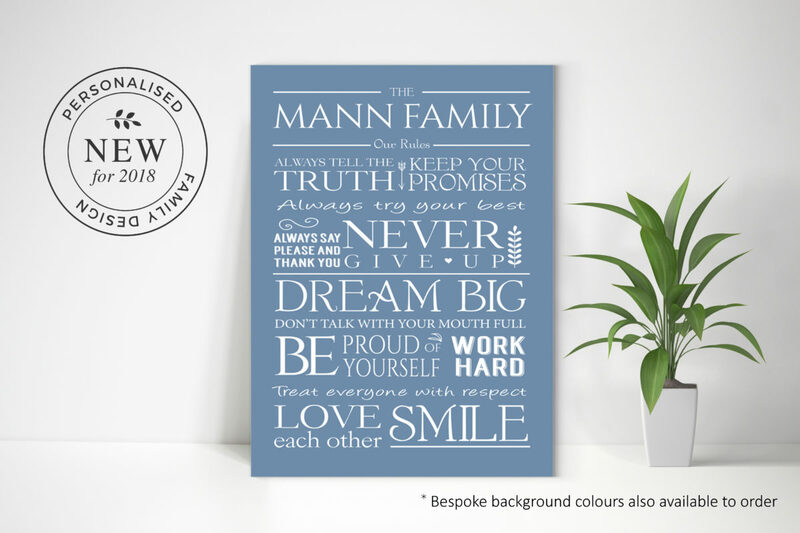 Most of our designs are specifically designed to be personalised allowing you to have a piece of art hanging on your wall at home that is personal to you and your family.